SOCKEYE ALUMNI - WHERE ARE YOU????? If you are an Sockeye Alumni and we haven't seen or heard from you for years, please get in touch with us, as we are trying to put together a email and address list of past players so that we can keep you informed of what the present team is doing and what the Alumni is up to. Contact Doug Paterson at 604-241-4438, cell 604-290-1976. Played on the Richmond Sockeyes Keystone Cup and Cyclone Taylor Cup Championship Team. Drafted by the Boston Bruins 116th overall in 2014 draft. Made his NHL Debut October 13th, 2016 against the Columbus Blue Jackets. Scored his 1st NHL Goal on October 17th, 2017 against the San Jose Sharks. Played for Surrey Eagles BCHL where he was the Captain . Went onto Denver University NCAA for 2 years. Currently playing for the Boston Bruins. Originally played forward for Richmond but changed to Defense for the Sockeyes. Undrafted, Garrison played collegiate hockey with the University of Minnesota Duluth before signing a two-year entry level contract with the Florida Panthers on April 2, 2008. He scored 35 points with the Rochester American of the AHL and earned a solitary recall to the Panthers line-up to make his NHL debut against the St. Louis Blues on October 25, 2008. Jason split the season in 2009–10 between the Panthers and the Americans, scoring his first NHL goal against Brian Boucher in a 7-4 victory over the Philadelphia Flyers on March 3, 2010. Becoming an unrestricted free agent in the off-season, Garrison signed a 6-year contract worth $27.6 million with the Vancouver Canucks on July 1, 2012. In the months ahead of his free agency, Garrison went on record as being interested in playing for the Canucks, his hometown team. Also played for Tampa Bay, Vancouver, Las Vegas and Edmonton. Currently playing in Switzerland. Selected by Washington in the first round, fifth overall, in the 2007 Entry Draft. A standout in junior, Alzner won two World Junior Hockey Championship gold medals with team Canada, and was named the Western Hockey League (WHL)'s top player and Canadian Hockey League (CHL)'s top defenceman in 2008.. He made his NHL Debut November 16th against the Atlanta Thrashers. Scored his first NHL Goal December 6th, 2008 against the Toronto Maple Leafs during Hockey Night In Canada. Currently plays for Montreal Canadiens. McArdle started his major junior career playing for the Moose Jaw Warriors of the WHL. He recorded his most prolific WHL season in 2004–05 with 37 goals and 74 points. McArdle was drafted in the first round, 20th overall, in the 2005 NHL Entry Draft by the Florida Panthers. McArdle was named to Team Canada for the 2007 World Junior Championships, where he earned gold. In December 2006 he was dealt from the Moose Jaw Warriors to the Vancouver Giants where helped propel them to the Memorial cup title as Host City. He made his NHL debut on December 2, 2008, against the Washington Capitals, and on January 23, 2010, McArdle scored his first NHL goal against Jonas Gustavsson of the Toronto Maple Leafs. Also played for Winnipeg Jets. Also played in Sweden. Currently playing for the Dallas Stars of the National Hockey League. He played college hockey at Cornell University from 2004–2008, where he was co-captain as a senior. 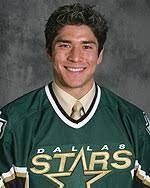 On March 28, 2008, Sawada signed his first professional contract a two-year entry level deal with the Stars. On February 19, 2009, his 24th birthday, Sawada played his first NHL game beating Dwayne Roloson of the Edmonton Oilers for his first NHL goal and was named the games third star. Also played in Japan , Finland and Great Britain. The current colour analyst on the Vancouver Canucks radio broadcast on the Team 1040, Tomlinson was drafted 43rd overall by the Toronto Maple Leafs in the 1985 NHL Entry Draft. 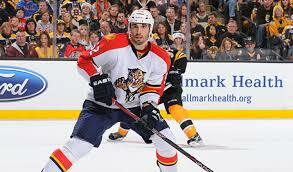 He played a total of 42 NHL games with the Maple Leafs, Winnipeg Jets and Florida Panthers. He scored his first and only NHL goal with the Winnipeg Jets in 93/94. Following his career in the NHL, Tomlinson played 10 years of professional hockey in Europe before retiring in 2006. Kesa, drafted by the Vancouver Canucks 95th overall in the 1991 NHL Entry Draft. He appeared in 139 NHL games with the Canucks, Dallas Stars, Pittsburgh Penguins and Tampa Bay Lightning. Kesa scored his first NHL goal with the Canucks in the 1993/94 season. He also played briefly in the Russian Super League for Avangard Omsk, as well as the Austrian Hockey League for the Vienna Capitals. Kesa is the uncle of former Vancouver Giant and current Boston Bruin, Milan Lucic. Current Head Coach of the Sockeyes, Lambert played two seasons with the Sockeyes as a goaltender. In 1993, Judd was drafted by the New Jersey Devils in the 9th round, 221 overall. He went on to play at Colorado College where he became a lawyer and now coaches. Brother of former Sockeyes defenceman Doug Paterson, Ron played two seasons with the Sockeyes as a goaltender. He went on to play for the University of British Columbia from 1977-1978 and then was a member of Team Canada at the 1980 Winter Olympics at Lake Placid. Tuttle played one season with the Sockeyes. He then went on to play for the St. Louis Blues, Tampa Bay Lightning and Quebec Nordiques. Tuttle is known as the player who had his skate slash the throat of Clint Malarchuk in a game against the Buffalo Sabres in 1989. Drafted in the 10th round, 204 overall by the Washington Capitals in the 1988 NHL Entry Draft. Scremin went on to play in 17 games with the San Jose Sharks recording only one assist. Drafted in the 6th round, 122 overall by the Vancouver Canucks in the 1988 NHL Entry Draft. Drafted in the 10th round, 190 overall by the Detroit Red Wings in the 1986 NHL Entry Draft. King appeared in only 2 NHL games with the Red Wings. Drafted in the 2nd round, 36 overall by the Boston Bruins in the 1979 NHL Entry Draft. Morrison went on to play in 23 NHL games, all with the Bruins, recording 7 goals and 3 assists. 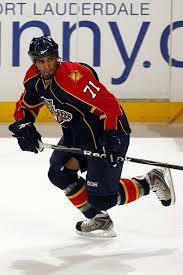 Played in the NHL for the Winnipeg Jets, Boston Bruins, and the Tampa Bay Lightning. Drafted in the 9th round, 224 overall by the Buffalo Sabres in the 1995 NHL Entry Draft. Skrlac was then traded to the New Jersey Devils where he appeared in 8 NHL games with the Devils recording his only goal in 2003/04. *Jason Kwon; plays for Borlange HF, Sweden. Forward. *Mike Hengen; played for Bremerhavan Penguins, Germany, and Penticton Vees BCHL and Moose Jaw WHL. Defence. Was a Assistant Coach with Penticton BCHL and Prince George Cougars WHL. *Brad McGowan; played for Surrey BCHL. Forward. Played for RIT NCAA. Currently playing in Germany. *Shayne Taker; played for Cowichan BCHL. Defence. Played for Notre Dame NCAA. Played for Cincinnati and Utah ECHL. *Mitchell Jones, played for Penticton, Merritt and Surrey BCHL. Defence. Played for Northern Michigan NCAA. *B.J Liversidge; played for Simon Fraser University. Forward. *Graham Sheppard; played for Langley BCHL and University of British Columbia. Forward. *Jordan Oye; played for Brampton OJHL and Fredonia SYNAC. Forward. *Wyatt Russell; played for University of Alabama, and played for Huntsville CHA. Goalie. *Brady Irwin; played for Iowa University ACHA. Defence. *Mike Heath; played for Duquesne University ACHA. Forward. *Ronnie Paterson; played for UBC, and then on to the 1980 Olympic team in Lake Placid. Goaltender. *Michael Ball; Played for Simon Fraser University. Also a Assistant Coach with the Richmond Sockeyes. Defence. *Kyzen Loo; Played for Simon Fraser University. Forward. *Dylan Smith; Played for Selkirk College.Defence. *Kootenay Alder; Played at SAIT ACAC.. Goalie. *Brayden Low; played for Merritt BCHL and Powell River BCHL. Played for Everett WHL . Played for University of Alberta. Currently playing for Reading ECHL. Forward. *Turner Popoff; played for Alberni Valley BCHL and Langley BCHL. Played at University of Victoria. Defence. *Ronnie Smith; played for Nanaimo BCHL and played for Salmon Arm BCHL. Forward. *Greg Brown; played for Bonneyville AJHL and played for Cowichan BCHL. Defence. *Joel Woznikowski; played for Westside BCHL and played for Kamloops Blazers WHL. Defence. *Kevin Jebson; played for Westside BCHL and played for Burnaby BCHL. Goalie. *Kodie Hemmons; played for Antigonish MGHAL. *Matthew Ius; Played for Everett, Portland, Swift Current and Chilliwack WHL. Played for Coquitlam, Nanaimo and Langley BCHL. Played for Mt.Royal University and Trinity Western University. Foward. *Reid Edmondson; played for Burnaby BCHL. Forward. Played for Laredo CHL, Rio Grande Valley CHL and Mississippi SPHL. *Nicholas Wong; played for Coquitlam, Trail and Cowichan BCHL. Defence. Played for Simon Fraser University. Played for ERC Sonthofen, Germany. *Riley Sweeney; played for Surrey and Williams Lake BCHL. Defence. Played for Michigan Tech NCAA. Currently plays for Kansas City ECHL. *Drew Spencer; played for Langley BCHL. Forward. *Clayton Chessa; played for Surrey / Quesnel , Naniamo, Cowichan and Trail BCHL. Forward. Played for Concordia University. *Ryan Cooper; Played for Weyburn SJHL and Dauphin MJHL. Played at St.Scholastica NCAA III. Defence. *Kevan Kilistoff; Played for Surrey BCHL. Played for Langley BCHL. Currently plays for Dartmouth NCAA where he is the Captain. Forward. *Justin Rai; Played for Prince George BCHL. Played for Maine NCAA. Played for UBC .Forward. *Carter Popoff; Played for Vancouver WHL. Currently playing for UBC. Forward. *Payton Lee; Played for Vancouver, Edmonton and Kootenay WHL. Goalie. *Daniell Lange; Played for Coquitlam BCHL and Kindersley SJHL. Played at SFU. Forward. *Derek Hughes; Played for Grande Prairie AJHL. Defence. *Dean Allison; Played for Flin Flon SJHL. Currently playing at SAIT ACAC. Forward. *Austin Adamson; Played for Saskatoon WHL. Currently playing at Mount Royal University. Forward. *Cole Plotnikoff:Played for Surrey BCHL, Olds AJHL and Kindersley SJHL. Currently playing for SFU. Forward. *John Wesley; Played for Vancouver and Lethbridge WHL. Played for Surrey BCHL. Currently playing at Windsor University. Forward. *Ayden MacDonald: Played for Vernon, Victoria and Cowichan Valley BCHL. Currently playing for Brock University. Forward. *Liam Lawson; Played for Powell River BCHL. Currently playing for SUNNY-Plattsburgh NCAA III. Forward. *Mac Colasimone; Played for Colorado WSHL. Played for University of Calgary. Currently playing for SFU. Forward. *Jacob Wozney; Played for Ft.McMurray AJHL and Weyburn SJHL. Currently playing at Red Deer ACAC. Forward. *Ryan Jones; Played for Vancouver WHL. Played for Surrey BCHL. Defence. *Cody Paivarinta; Played for Prince Albert WHL. Played for West Kelowna BCHL. Defence. *Nathan Alalouf; Played for Estevan SJHL. Currently playing at Red Deer ACAC. Goalie. *Troy Sutherland; Played for Valley EHL and Rochester USPHL. Currently playing at Stevenson University NCAA III. Forward. *Nicholas Wicks; Currently playing at Merritt BCHL. Forward. Will be going to University of Alaska-Anchorage NCAA for the 2019-20 season. *Spencer Berry: Played for Langley BCHL. Currently playing for RIT NCAA. Defence. *Jackson Munro; Currently playing for Merritt BCHL. Defence. *Vaughan Bamford; Currently playing for Flin Flon SJHL. Defence. Will be going to Lake Forest NCAA III for the 2019-20 season. *Merek Pipes: Played for Nipawin and LaRonge SJHL. Currently playing for Swan Valley MJHL. Goalie. Will be going to Union College NCAA for the 2019-20 season. *Noah Wozney: Played for Weyburn SJHL. Forward. *Mitch Newsome; Played for Penticton, Langley, Salmon Arm and Coquitlam BCHL. Currently playing for SFU. Forward. *Jordan Funk; Played for Prince George and Surrey BCHL. Ft.McMurray AJHL. Played for Flin Flon and Kindersley SJHL. Currently playing for SFU. Forward. *Nicholas Wilson; Played for Cowichan Valley and Nanaimo BCHL. Currently playing for Prince George BCHL.Forward. *Hayden Hurst; Currently playing for Alberni Valley BCHL. Defence. © 2019, RICHMOND SOCKEYES. ALL RIGHTS RESERVED.